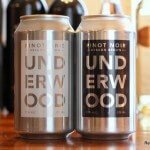 A pair of versatile wines that pair perfectly with everyday situations. The 2011 Oakley 82 White and the 2010 and 2011 Oakley 82 Red. 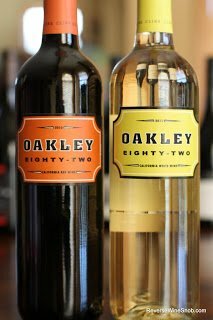 Today we turn to Cline Cellars wallet friendly line of Oakley 82 wines, released to commemorate the beginning of Cline Cellars in 1982 in Oakley, California. (Fold out the back labels on all three wines to see a timeline of the winery.) All three wines have an SRP of $10 and are available for as low as $8. (Samples were submitted for review.) The 2011 vintage of the Red just happened to show up as I was tasting the other two wines, so I’ve included it here as there will likely be a mix of the two vintages available in stores the next couple months. First up is the 2011 Cline Cellars Oakley 82 White, a blend of 43%Sauvignon Blanc, 37% Palomino, 8% Viognier, 6% Malvasia Blanc and 6%Semillon from California. “Oakley is home to some of California’s oldest and rarest grapevines known to produce intense, aromatic wine. Oakley Eighty-Two is delicious alone or with chicken, fish or salad. Serve slightly chilled to enhance the wine’s citrus and peach notes. The 2011 Cline Cellars Oakley 82 White begins with nice and simple aromas of grapefruit, peach and citrus. Tasting the wine reveals an intriguing, tasty and tangy blend of flavors, primarily grapefruit and lots of lime. It’s relatively simple, but this would be quite a refreshing wine on a hot day. 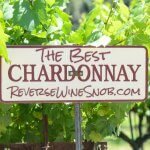 Sauvignon Blanc is the most recognizable varietal when tasting this five grape blend. It ends with more lingering tangy grapefruit notes on the medium length finish. Next up is the 2010 Cline Cellars Oakley 82 Red, which is the epitome of a kitchen sink blend consisting of 30% Syrah, 27% Merlot, 15% Barbera, 7%Zinfandel, 5% Alicante Bouschet, 4% Cabernet Franc and 12% Mixed Red varieties from California. “Oakley is home to some of California’s oldest and rarest grapevines known to produce intense, aromatic wine. Delicious spicy berry flavors are enhanced when served with pork, beef or pizza. The 2010 Cline Cellars Oakley 82 Red begins with aromas of jammy dark berries, red licorice and a little wintergreen mint. The wine tastes of jammy fruit and black pepper along with a nice light spice component and sweet caramel and molasses notes. 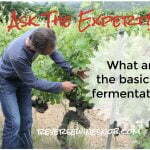 Add in some soft tannins and you’ve got a nice wine for fans of the Apothic or Gnarly Head red wine blends. Last we have the 2011 Cline Cellars Oakley 82 Red. 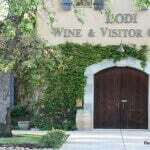 It consists of 56% Syrah, 15% Petite Sirah, 13% Barbera, 5% Cabernet Franc and 11% Mixed Red varieties from California. The 2011 Cline Cellars Oakley 82 Red begins similar to the 2010 with dark berries, although not quite as jammy, and wintergreen mint. There’s not as much red licorice present but the 2011 also adds in a hint of coffee. Tasting the wine reveals similar flavors but I would classify the 2011 as having more of a brambly character. The best food matches are exactly like the fold out label suggests: burgers, pizza or dry rub ribs.